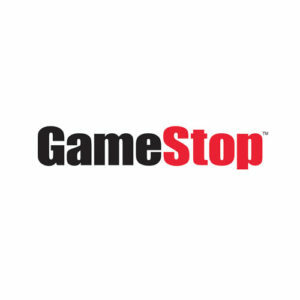 GameStop makes me SO MAD I want to hurl obscenities!!! My sister bought me a PS3 the Christmas before last and I’ve been happily catching up on many of the cool games I’ve missed (Sega’s Yakuza games are great; give them a try!). Unfortunately, after only a mere 18 months, my PS3 controller has decided that the left stick should randomly send a “left” signal to the console. This means that I often can’t run in a straight line or aim with any accuracy and navigating menus is a pain because the cursor keeps zooming to the left. There doesn’t appear to be anything physically broken. The stick isn’t loose, for example. And it’s not a matter of the stick not being calibrated properly because the “left” signal can emit regardless of the stick’s position. I tried resetting the controller and that didn’t help. Over the past few weeks, it’s gotten worse. The errant “left” signal is stronger and more frequent. Well, the PS3’s warranty is only for one year so I guess I’m going to have to buy a new controller. Despite being 10 years old, the PS3’s Dual Shock 3 controller still retails for about $45. Seriously. Forty five dollars. For a 10 year old controller. The cheapest I can find it online is $39.99. So, I got in my car and went to Walmart. They didn’t have any. I went to Fry’s. No dice. Target. Nope. Best Buy. Nada. WARNING: Obnoxious whinging beyond this point! Proceed at your own risk! Finally, I went to GameStop. All due respect to my friends who work there but GameStop is a last resort for me. It’s where I go only when I have no other option. Why? Because GameStop has a nasty habit of gutting its games (opening them, taking out the disc and instruction manual, and slapping price stickers right ON THE CASE) and selling them as new. It’s a practice I simply can’t abide. Anyway, GameStop did not have any new PS3 controllers but it did have a selection of used controllers. Now, I’m not going to buy a used controller because I want to lessen the chance of inheriting someone else’s problems but here’s the thing… GameStop was selling USED PS3 controllers, which again, I remind you are TEN YEARS OLD, for FORTY FIVE DOLLARS!!! Seriously. FULL RETAIL PRICE for a USED controller. So utterly disgusted was I that I nearly wheeled around and hurled obscenities at the hapless GameStop clerks whose fault this odious pricing is certainly not. Instead I left the store and stormed to my car muttering a colorful string of profanity under my breath the entire way and then angrily ranted the entire drive home. $45. FORTY FIVE DOLLARS. For a USED controller. For a TEN YEAR OLD system. That is INSANE. It is PREPOSTEROUS. It is DISGUSTING. Look, I took an economics class in college. I understand how supply and demand works but it’s the principle of the thing dammit! You do NOT charge FULL RETAIL PRICE for a USED product. How DARE GameStop have the gall to charge FORTY FIVE DOLLARS for a USED PS3 controller that it buys for LESS THAN 15 DOLLARS!!! It’s outright OFFENSIVE. ARRRGGGGGHHHHH!!!! SO MAD!!!!!! ANDREW SMASH!!!!! ANDREW TYPE IN ALL CAPS!!!! ANDREW WHINE LIKE AN ENTITLED BRAT!!!! Anyway, a friend loaned me one of his controllers while I work on sourcing a new one for myself. Since you mention economic: Because it’s a ten year old system, which has now been replaced by the PS4, you are running into higher priced PS3 controllers due to scarcity. In ten more years, they’re going to be even more expensive, and there won’t be any new ones at all. Do you know how much you’d have to pay to get a functional Atari 2600 today? Supply and demand still underlies all of this from an economic perspective. Did you somehow leave my article with the impression that I don’t understand such concepts even after explicitly stating “I understand how supply and demand works”? Looking at Amazon, about $10. Not a great comparison anyway. The Atari 2600 controller was discontinued decades ago. The Dual Shock 3 is still in production.